Cuddle all winter long next to the fireplace. 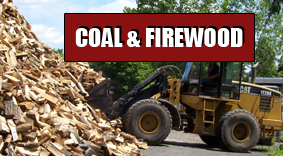 At Lutz's Coal Yard in Schwenksville, Pennsylvania, we provide high-quality coal and firewood. Highlight your home's best features. 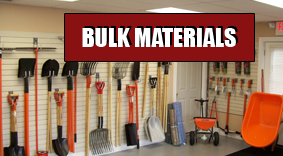 Our company offers assorted bulk materials and landscape supplies great for flowerbeds, driveways, patios, and even play areas for your kids. Invite everyone over. We offer many heating supplies and the best automatic heaters to keep your house feeling its best. Keep warm during those long, cold winters without breaking the bank. 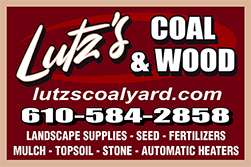 At Lutz's Coal Yard in Schwenksville, Pennsylvania, we are a family owned and operated supply company since 1932. Our business has been located in Skippack Township since 1972, serving Montgomery and the surrounding counties. Receive great service and high quality products. With more than 80 years of experience, our dedication providing prompt service and good quality products to our customers makes us one of the best. Some of the products we provide are: coal, firewood, automatic heaters, mulches, topsoil, and stone, as well as seeds, fertilizers, and tools. 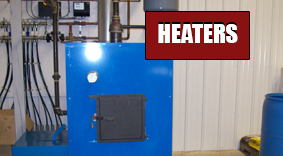 Contact us in Schwenksville, Pennsylvania, to receive high-quality heating products from our supply company.